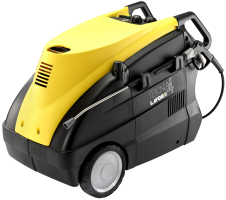 Cleantech Gulf offers a full range of pressure washer units that blast the dust, dirt, mould, and grime off of hard surfaces, whether on the road and streets, and inside homes and commercial spaces. It is truly amazing what you can do with a high-pressured stream of water, which effectively and swiftly removes accumulated dirt and debris with the smallest amount of effort, or with a minimal application of chemical solutions. 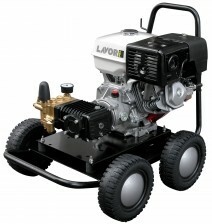 Cleantech Gulf is a proud supplier of Italian Lavor pressure washers in Dubai and the UAE. These pressure washer units are available in hot and cold water variants, in addition to electric and fuel-operated models. 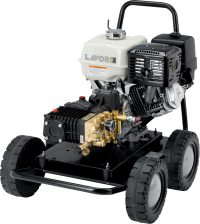 Established in 1975, Lavor is a pioneer in the cleaning industry and a worldwide leader in providing cleaning machinery of exceptional value and impressive power, with easy-to-use features and superior durability. As one of the leading local high pressure washer suppliers in UAE, Cleantech has a wide range of high-pressure mechanical sprayers engineered to remove loose paint, mould, grime, dust, mud, and dirt from a variety of surfaces, including building facades, vehicles, and concrete. With Cleantech, you can be assured of the first-rate quality, power, ease of use, and durability of the product. We supply several types of pressure washers from internationally renowned brands to our customers in Dubai and across the UAE. For more than 25 years, Cleantech has made a reputation for providing top-notch quality products throughout the UAE. Whether it is for residential, commercial, or industrial use, we have the cleaning equipment and machinery that can get the job done efficiently and meticulously, making the task significantly easier and simpler for all.